14 countries, 14 flights, 17 trains, 10 buses, 6,453 photos and 250 go pro videos. That's my 2016 in numbers. Looking back 2016 has been my best travel year to date. I was incredibly lucky to travel to so many beautiful countries. Out of the 14 countries I visited 13 were ones that I had never been to before! 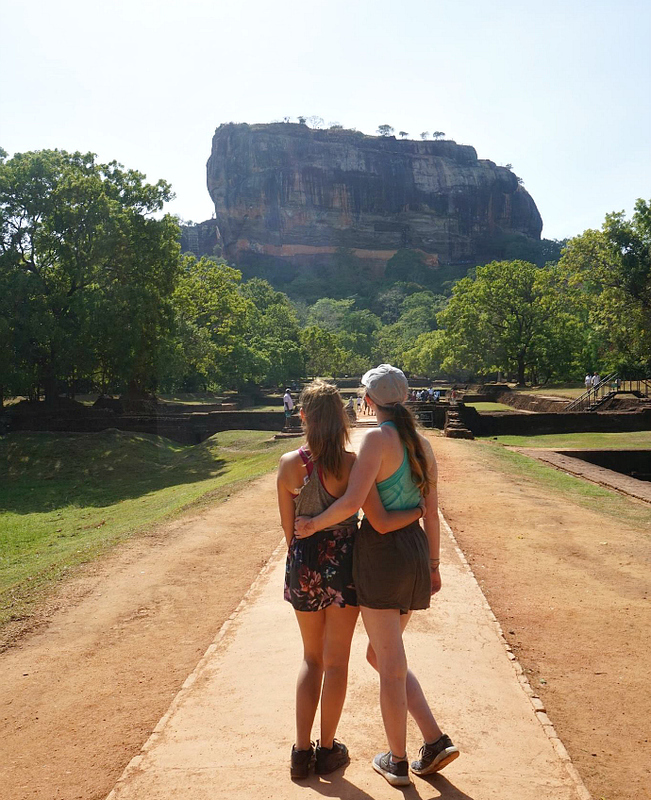 When I started planning this post and thinking about my favourite travel moments I realised just how lucky I've been this year. 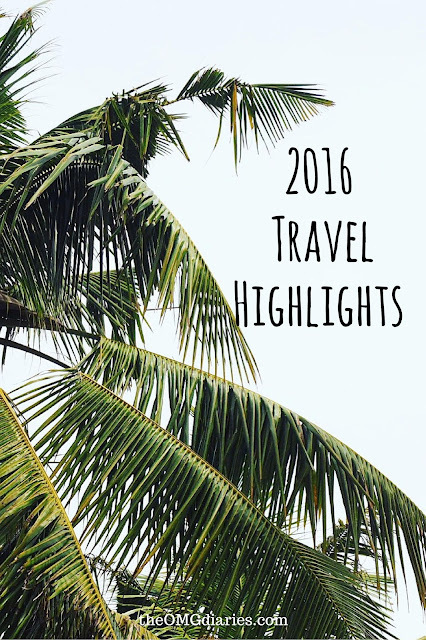 At the beginning of 2016 I had no travel plans at all but managed to see so much! 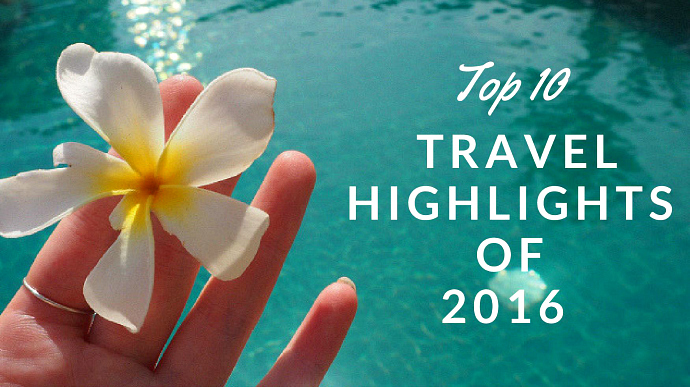 I've decided to put together a travel highlights post of the top ten travel experiences I had in 2016. 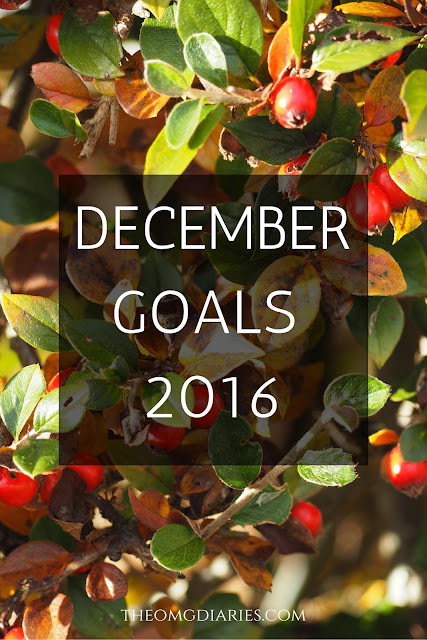 My first trip of 2016 was in April when I headed off for four days to escape revision for final year exams. This was my only holiday trip of 2016 (the rest were backpacking) so it was nice to pack a suitcase full of nice clothes and plan my evening outfits rather than pack everything into a rucksack. We went at the beginning of April. We were supposed to go the last week of March but then there were air strikes and our flights got cancelled so we had to re book after a lot of stress (thanks for letting us find out ourselves Ryanair; a text would have been nice). The weather was surprisingly warm and I hadn't expected this so hadn't packed quite right! 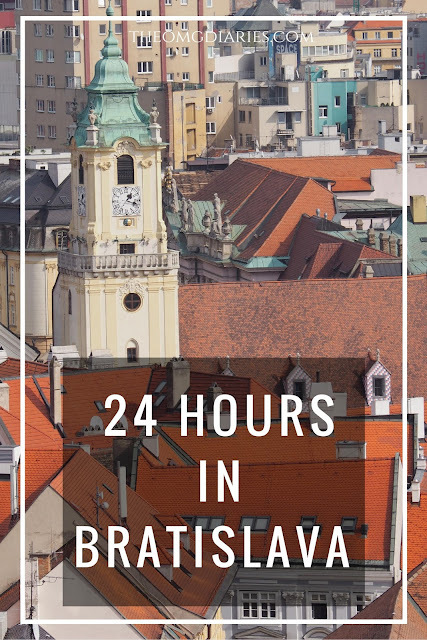 We didn't quite see everything, partly because we spent most of our last day in bed recovering from our night out but we managed to see enough of the city (and the nightlife!). 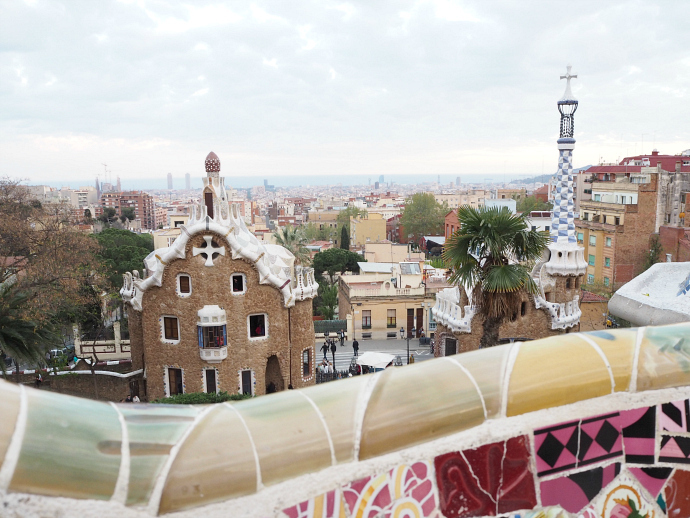 My favourite place was Parc Guell, I loved all the tiles that decorated the area. I'd always thought of Mexico as an All Inclusive holiday destination or where Americans headed for Spring break. But I was wrong, there is so much more to Mexico that Cancun. I saw some amazing towns and ruins on my two week adventure around Mexico. We didn't see quite as much as we had hoped partly due to not being able to travel to some of the places (more on that in another post) but what I did see completely changed my thoughts about Mexico being just a holiday destination. That being said, although it was a backpacking trip, it was a very relaxed one. 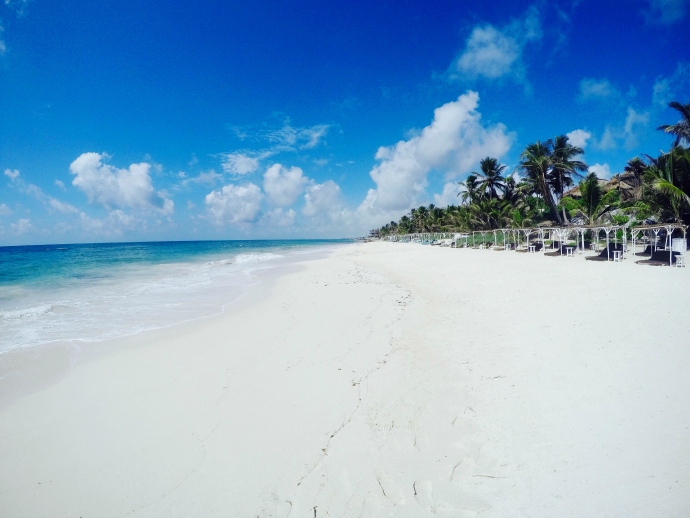 We went to lots of beaches including Tulum which was absolutely stunning. We also spent a couple of days at a spa hotel reading by the pool. I've never had a beach holiday so spending time relaxing between towns was a great way to celebrate the end of university. As much as I enjoyed all the relaxing in Mexico some days I needed a bit more than just sitting on the beach or in a cute restaurant. 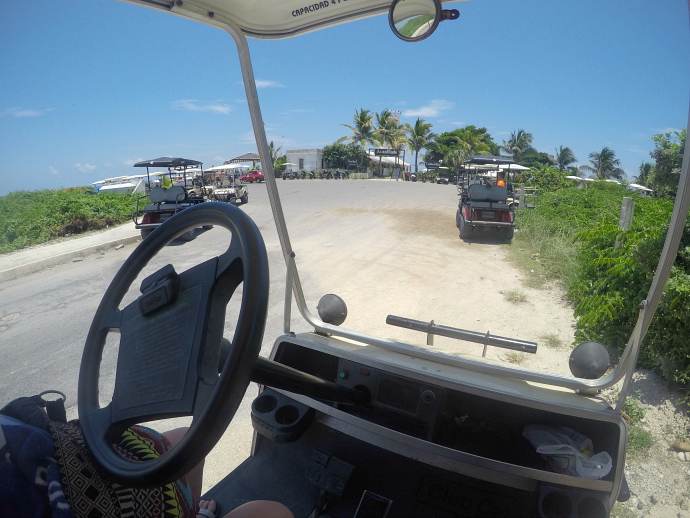 When we arrived in Isla Mujeres we saw that you could hire out a golf cart so that's what we did! It was great, I only drove it for a bit as I didn't have my glasses with me and didn't want to risk crashing into anything! I'm not actually that blind but you never know. The island is relatively small so we managed to drive around it and stop off at various destinations. It was also great as we could pop back to our accommodation if needed. I wrote a whole blog post dedicated to my visit to the Taj Mahal so won't go into much detail here but it was one of the highlights of my trip to India. 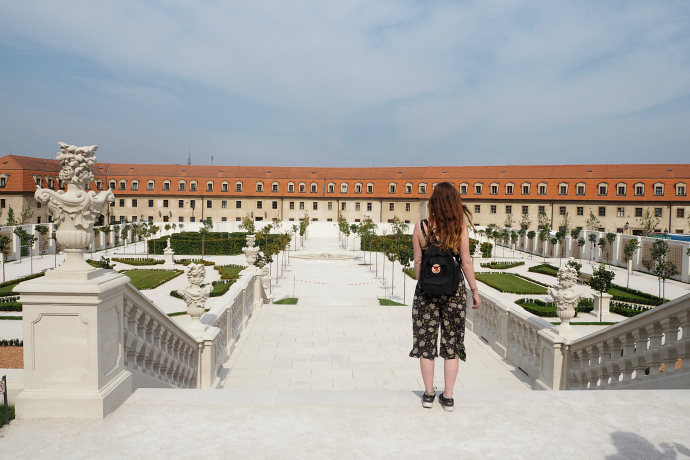 The building is stunning and being able to see it in person and explore the grounds was an amazing opportunity. Another highlight from my trip to India. 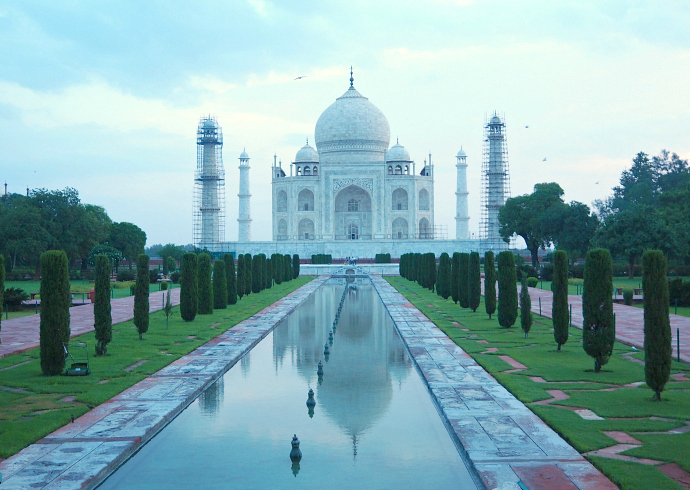 This was on the top of my list when I was making my itinerary for India. 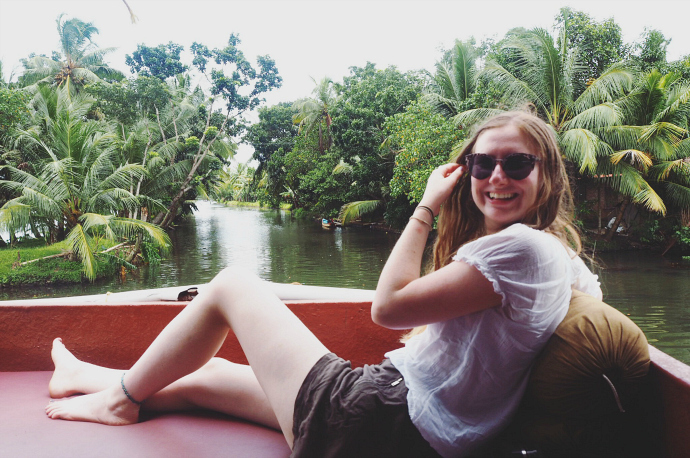 It was lovely to relax on a boat for two days. There was no internet which made it even more relaxing and I managed to get through two books. The food was also great, we had our own chef who prepared breakfast, lunch and dinner. There was so much food! I very nearly didn't do this. I woke up at 5am on the morning and decided that I'd rather not pay to walk up a massive rock when I'm terrified of heights. I then got up and decided that I couldn't just not go and try. I should at least go and see whether I could walk up. So that's what I did. And guess what? It wasn't nearly as bad as I had imagined. I mean I did nearly break down in tears when I had to walk up some scary stairs to realise that the area they led to was optional and didn't get me any nearer to the top. But other than that it was ok. I was very relieved to get to the top and enjoy the views and I'm glad I pushed myself to do it. I wrote a whole blog post on why I loved Hallstatt so much so it's no surprise that it's one of my top 10 highlights. It's just so pretty! 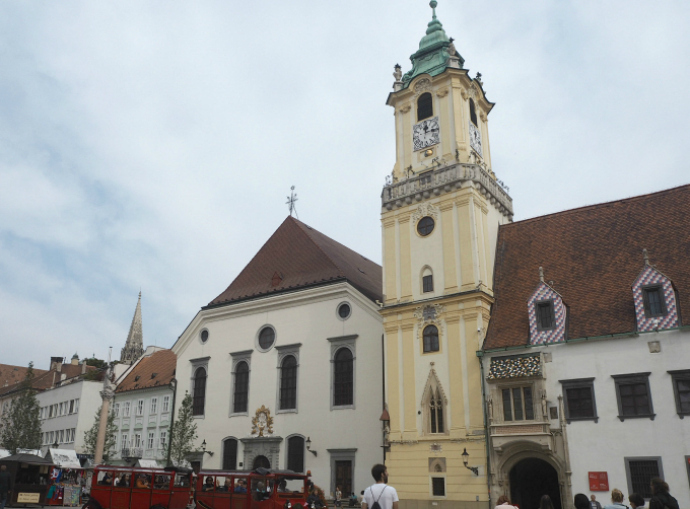 When we visited Sarajevo my friend Sophie talked me into staying at the war hostel. This hostel supposedly allows you to stay in the conditions you would have had to live in during the Bosnian war. It's obviously no where near what it would actually have been like but the beds are just mattresses on the floor and the rooms are full of posters and newspaper stories regarding the war. The person who runs it refers to himself as zero one, his family survived the war so he decided to set up the war hostel to educate others about it. As part of your experience there are tours you can go on. We chose to do two of them, the frontline one and the scars of Sarajevo. Both were very much worth the money. For both tours Sophie and I were the only ones on the tour so we were able to ask as many questions as we wanted and learnt so much. The frontline tour was very eye opening. There is still a lot of evidence of the war around Sarajevo including bunkers and there are still many land mines around. 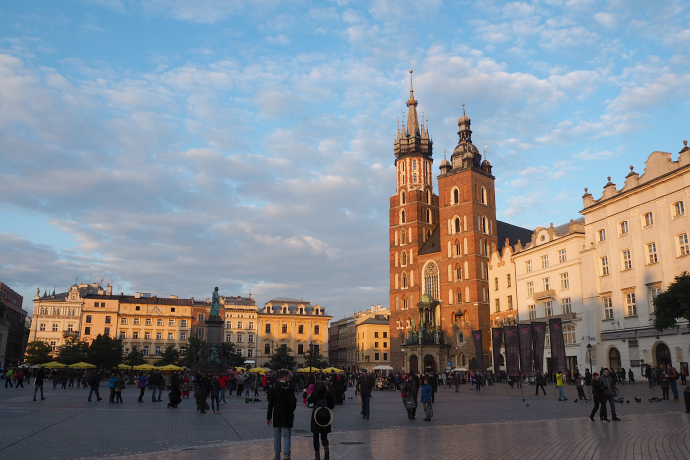 Poland was the last country I visited during my Interrail trip around Europe. 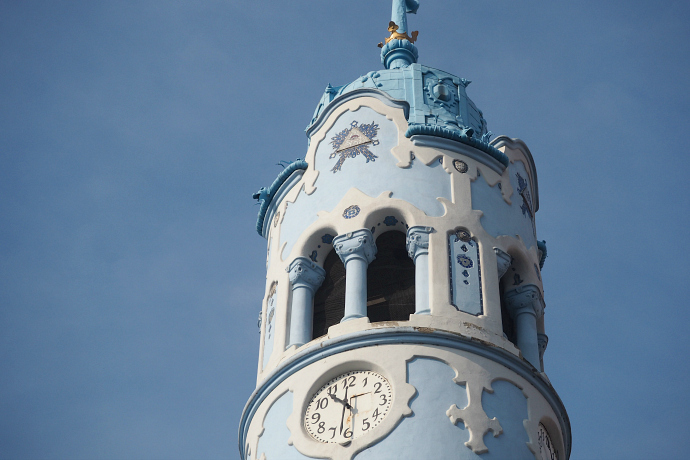 I wasn't completely sure what to expect but I really enjoyed the parts of Poland I visited. I also got the opportunity to visit Auschswitz, while I wouldn't describe this as an enjoyable experience I'm happy that I got the opportunity to visit. It was definitely eye opening. The Uprising Museum in Warsaw also taught me a lot about the second world war and Poland. There was so much I didn't know about. When we booked our overnight train I did not, for a moment, think that it would be an enjoyable experience and I certainly didn't expect to be writing about it in a travel highlights post. This was my first overnight train experience. I'd been on an overnight bus in Myanmar (that most definitely was NOT a travel highlight) but trains were new to me. We were in third class meaning there were three levels of beds rather than two. I had the bottom bunk. There were no curtains but I made one with one of the blankets I was given. As soon as I made my makeshift curtain I was able to relax. I really hate the idea of people watching me sleep and being on the bottom bunk meant that every time someone walked passed they stared at me. The fact that I'm the palest person in the world and female probably didn't help. The beds were surprisingly comfy, I had plenty of snacks and when the sun rose there was a great view! It definitely made me more up for doing other overnight journeys. I really enjoyed writing this post, looking back at 2016 has made me realise that it wasn't actually that bad from a personal perspective. What were your travel highlights in 2016? This is an incredibly boring choice but also an incredibly useful one. It's surprising the amount of people who ask to borrow my pen at the airport. There are only a few pens (if any) near the custom forms so having your own saves waiting around to use one. Although, you will end up waiting around, regardless, for the people you lent your pen too! A pen is also handy for filling in your travel journal. I always travel with a scarf I bought in Indonesia. It's lightweight so can be stored easily but also big enough to use as a blanket (it's great for an extra blanket on planes). I normally use it on train or bus journeys especially when the air con (if there is any!) gets a bit too chilly. I not only use my scarf as a blanket but as a cover up for when I visit temples. It can be made into a makeshift sarong if my knees need covering or to cover my shoulders. I get very hot so being able to wear a vest top and then the scarf over my shoulders helps me stay a bit cooler in places where I must cover up. My travel pillow is bright with fluffy ends. People do stare when I rock up with it ready for an 8 hour bus journey or when it's just chilling on my backpack. While it's very bright and a bit ugly it's saved me from many uncomfortable journeys. Most people have the neck travel pillows but squishy (as I like to call it) is bigger and more like an actual pillow. This means it's not the most travel friendly but it's small enough to attach to my backpack. Like I said it's main use is for journeys from one destination to another or as an extra pillow on flights. Because, let's be honest the pillows you get on most flights are pretty rubbish. It's also great to have a pillow for when the hostel ones as too flat or rock hard. I honestly don't know how I managed without one of these for so long. They are so useful! Especially when you only have one plug socket in your hostel room and three devices to charge. Mine is pretty bulky but lasts ages before it has to be charged itself. You can get slimmer ones that are the same capacity. If you don't already have one then go and get one! It's a life saver! It's also great for festivals or day trips or when you need to leave the house but your phone's not charged. to carry an extra bag for the rest of the trip! We ended up asking my friends boyfriend to bring a holdall over with him so we could put them all in there. Lesson learnt. Don't over buy when travelling. But who can say no to a 20p top?! The bag also saved me in my interrail trip where I fell in love with a pair of boots and had no room in my rucksack for them. Obviously, I hadn't learnt my lesson. They did come in extra handy though when the weather started to get colder! The best thing is it folds up really small for the rare times you don't need to use it to carry your excess baggage! I guess this one might seem obvious but on my first backpacking trip I only took my phone. I then invested in a smaller, more travel friendly camera. The blogger favourite: Olympus pen. I've never looked back. I bought the 42mm - 150mm lens to go with it. It's rather hefty but great for snapping detailed pictures. It was also great when I went on safari in Sri Lanka, we were lucky enough to see not just one leopard but two adults and a baby! Our driver loved my camera and lens and managed to get me some very good shots! Since taking a travel towel with me on my travels I wonder how I managed with a normal towel. They save so much space. I'm surprised I managed to fit anything else in my rucksack when I took a normal towel. Ok, that's an exaggeration but honestly they save so much room. Did I mention how much room travel towels save? Yep I did. Although, maybe get an extra large one because the one I have is a *tad* short. This is fine until I have to do a dash from the bathroom to bedroom in a hostel. Let's just say if anyone was sitting down when I did my dash they'd see a lot more than I wanted them to. These are obviously great for the beach but I use them for day to day exploring and walking around hostels/ hotels. Just make sure you take comfy ones, especially if you're going to wear them all day. I tend not to wear them for outings anymore as I invested in some Teva sandals which I lived in whilst in India and Sri Lanka. I still take flip flops for hostels though. I'm not one of these people who is particularly fussy about gross bathrooms but sometimes flips flops are necessary for a toilet/ shower trip in a hostel. Especially in the middle of the night! After looking over my 8 choices I realise they're all pretty boring but I honestly wouldn't travel without any of these things. I guess it's better to be boring and realistic. 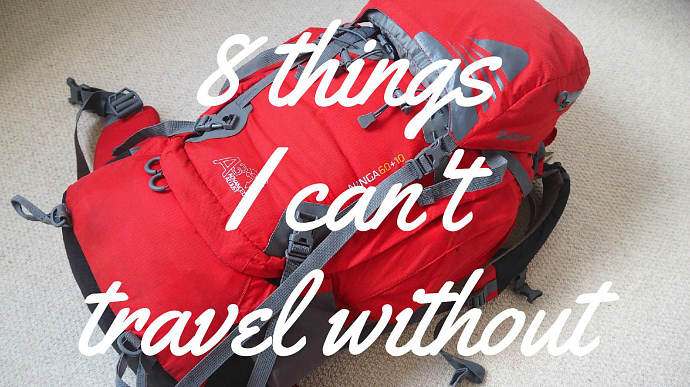 You've probably got/ travel with all of these things already but if there's any missing from your own packing list then head out and get them. Or whip out your laptop and place an order because it's rather cold outside and shops are a *tad* busier than usual with it being Christmas on Sunday. 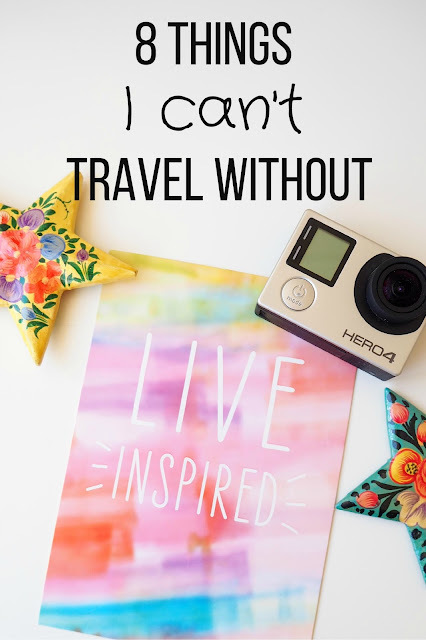 What are your travel essentials? Let me know in the comments. 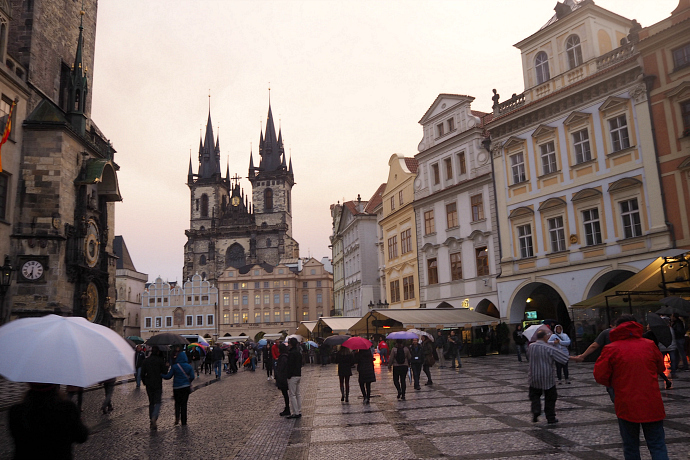 Prague was one of my favourite places that I visited on my Interrail trip. 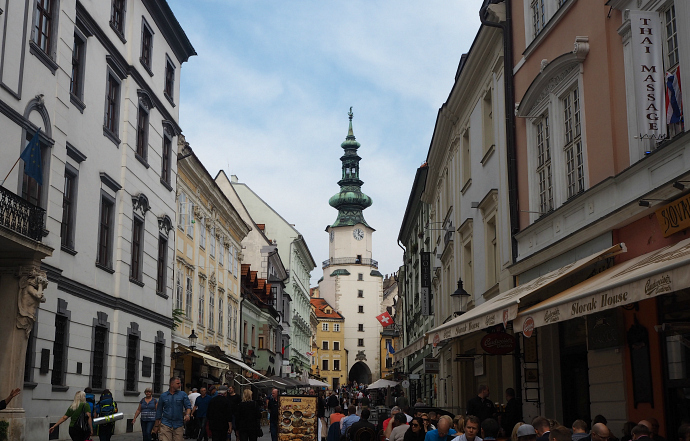 I loved the buildings and the food and well, pretty much everything! 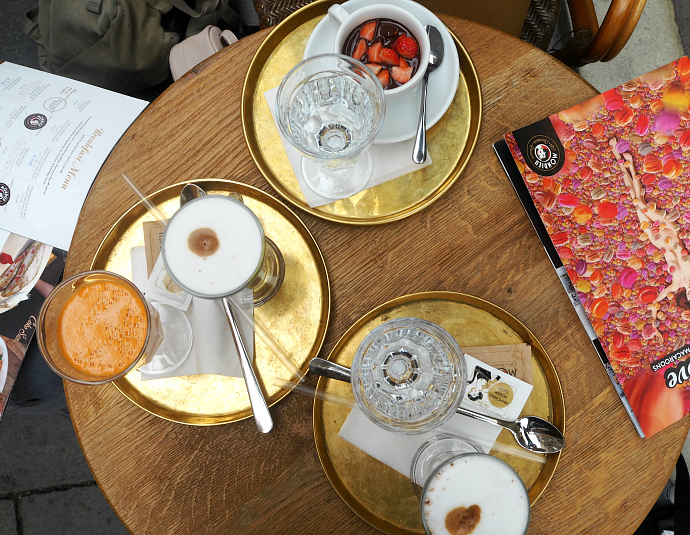 I thought I'd put together a post with ten things you should not miss if you take a trip to Prague. 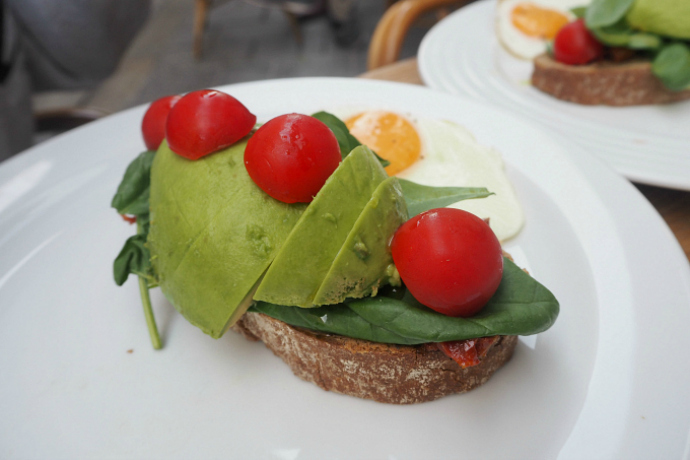 Food is important for any trip which is why it's at the top of my list! 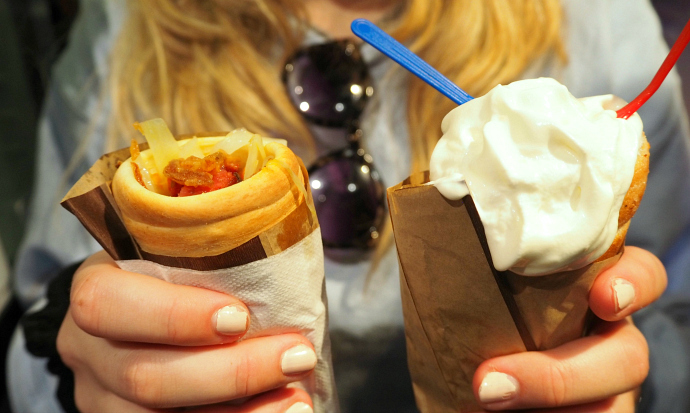 There's plenty to try in Prague but if you try one thing you HAVE to try a doughnut ice cream. These are AMAZING! They taste like Disney land and Christmas. Ok, they actually taste of sugar and cinnamon but to me these taste like Disneyland and Christmas. It's pretty easy to find these doughnuts around the main square; they're usually sold in small stalls on the street. 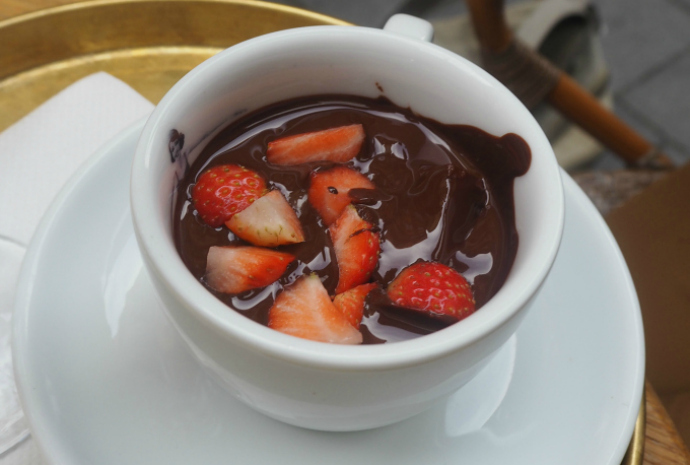 I preferred having it with just Nutella rather than ice cream but try both. The savoury food is pretty good too although I must say we didn't eat that much traditional food, we ended up having Indian, Thai and Italian food during the three days. This wasn't because the traditional food wasn't good but because it was quite similar to the food we'd been eating in the other countries we visited. There's only so many schnitzels a girl can eat. Especially when they're the size of your head! 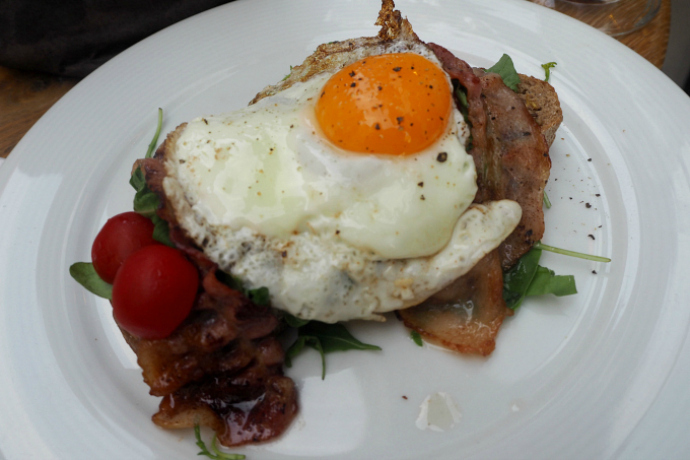 The schnitzels are great though and the pork knuckles. It's all pretty meaty so I can't really recommend any veggie options apart from the potato salad! This is something I found whilst searching for Prague on Instagram. It's basically just a building that looks quite funky. 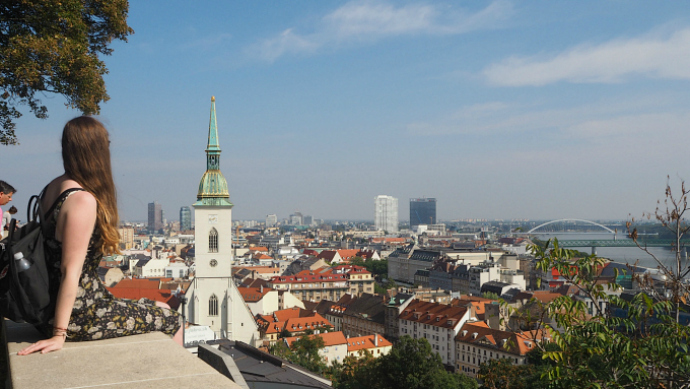 There's a hotel and gallery, as well as a rooftop bar and lookout. 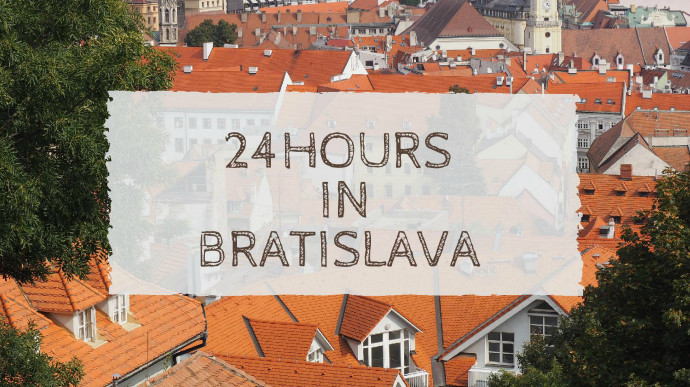 It's worth a trip if you have more than two days to explore the city. 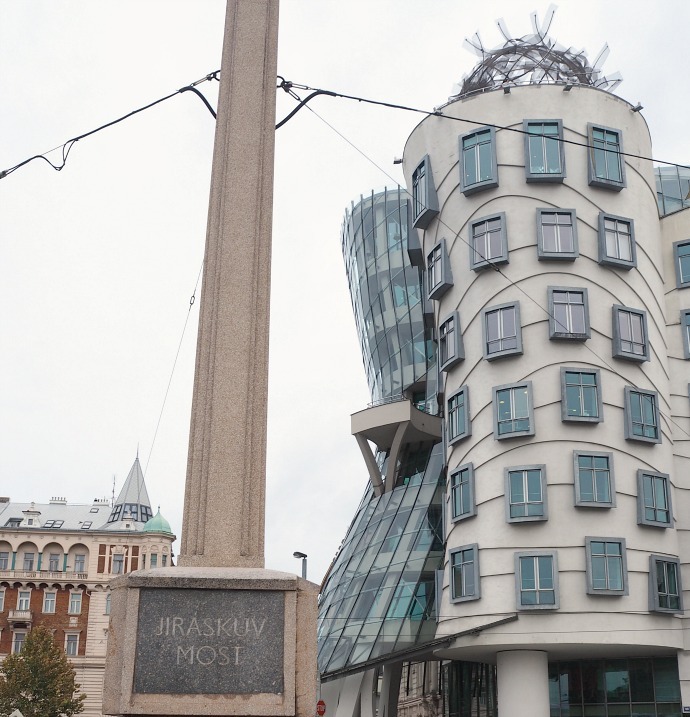 The buildings full name is actually Fred and Ginger Dancing House. Referring to Fred Astaire and Ginger Rogers who are famous dancers (who I had never heard of until I googled why it was called Fred and Ginger!). Apparently the building is meant to resemble two dancers. We went straight up to the bar, where you're not allowed out onto the view point until you've bought a drink. I think this is pretty fair, they need to make money somehow! 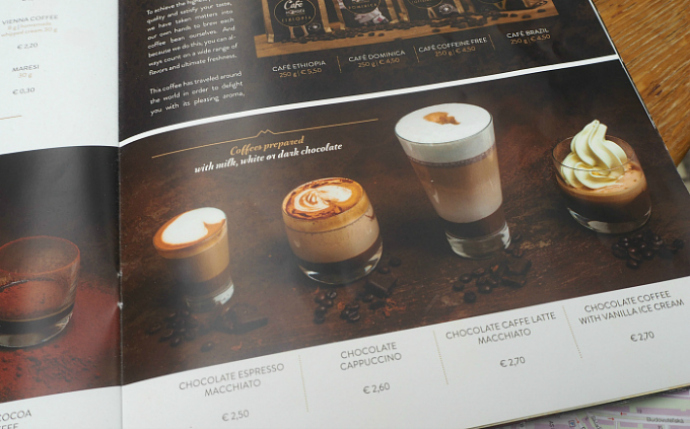 We wanted a coffee anyway so each had one then went out into the cold to snap some pics. 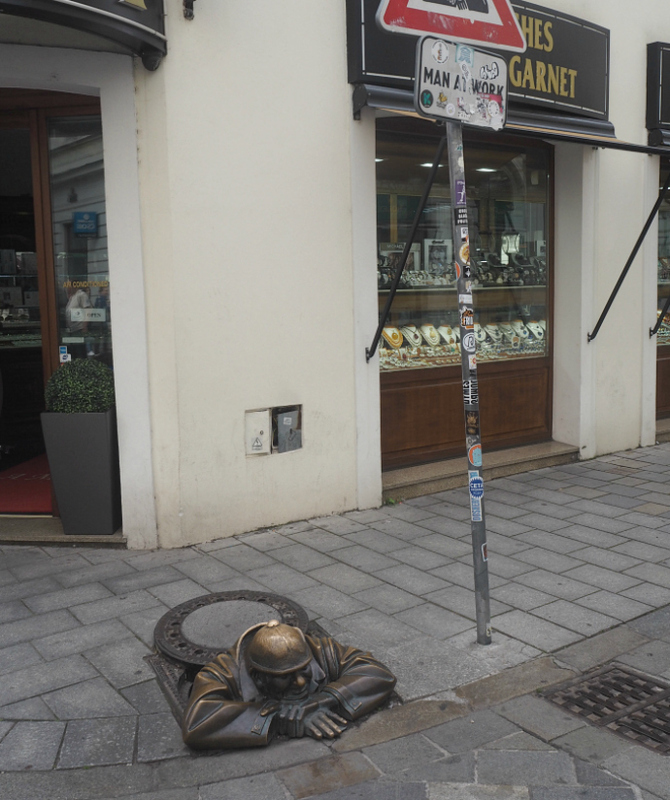 This was my favourite square of my Interrail trip. It was so pretty! I'm not normally one to be blown away by somewhere but walking into the square definitely made me go 'Oh wow'. We visited just as it was starting to get darker so the sky was slightly orange. My favourite building was the Church of Our Lady before Tyn which is shown in the photo below. On our way to the main square we found a man with a giant bubble machine. 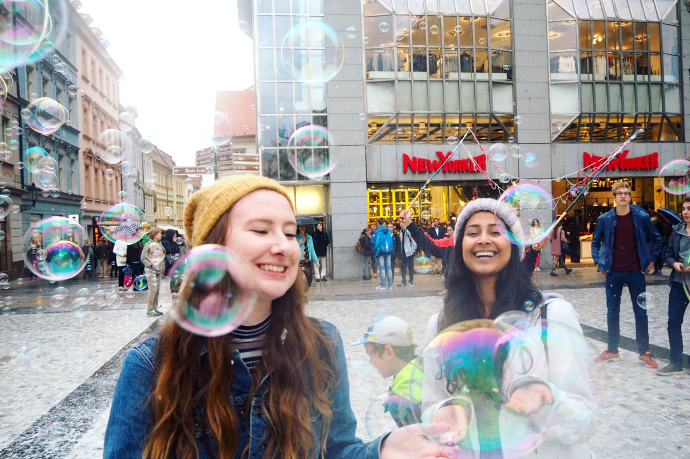 There were lots of kids running around popping the bubbles and then there was us, four girls also running around popping bubbles. It was so fun, and a great opportunity for some photos. 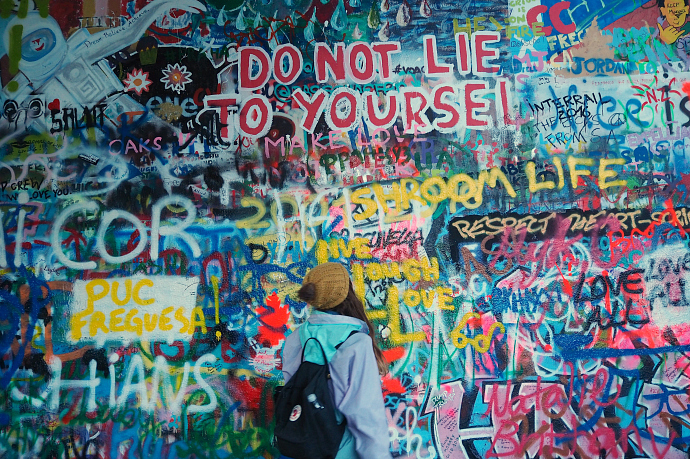 I don't think any visit to Prague is complete without visiting the John Lennon wall. It took us a while to find (so google map it!) but it was worth the wandering. We went quite late in the day which I think was good as we missed the main crowds. There were still quite a lot of people but it was quiet enough to be able to get all the pictures we wanted without waiting around. Just make sure you go there while there's still enough light! 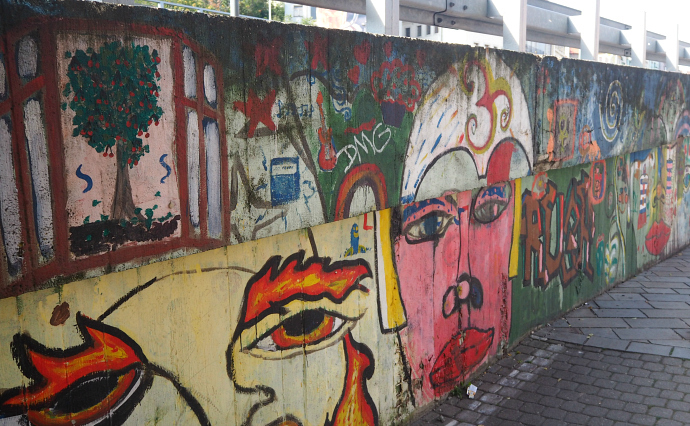 I also love how the wall is constantly changing with new graffiti. If I ever go back it will be completely different! 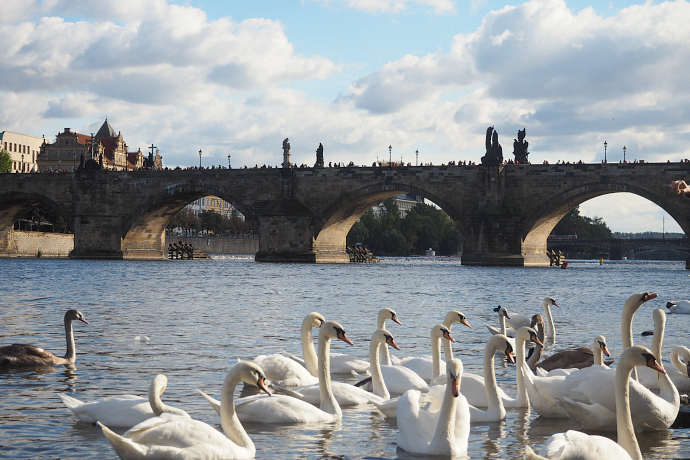 On the other side of Charles Bridge (the side the castle is on) you'll find lots of swans. When we visited we also found a women having a photo shoot in a very extravagant (and beautiful) dress. It's nice and peaceful on the waters edge and also perfect for pictures. 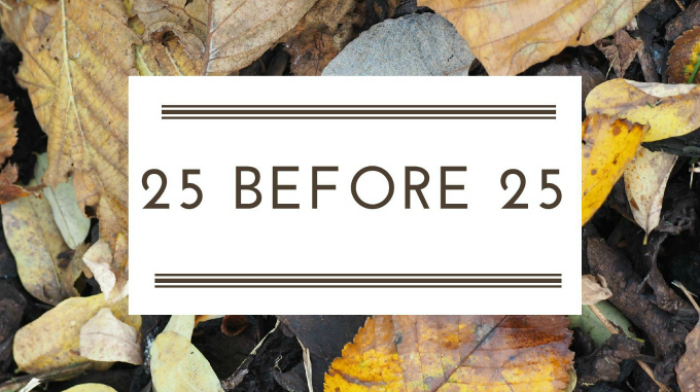 I know 22 is not old but when you're in this club being 22 feels like your 50 and doing mum dancing. People here are young. I don't mean 18 or 19 I mean 16. We went for my birthday night out and while I felt like a grandma it was still fun. There's five floors with different music, although, near the end of the night they all started playing the same sort of music. Also the R n B room isn't R n B it's old chart hits. My friend who was looking forward to this room the most was very disappointed! My favourite room was the cheese room which had a multi coloured dance floor and by the end of the night was completely empty so we had it to ourselves! If you fancy a very random night out with lots of local students then this is the place to go. Or if you just want to experience walking up five fligths of stairs and feeling very lost and old then you should also make time to visit! I don't have any pictures from the club because, well, we were too busy having fun. The pictures I have are pretty bad and the internet does not need to see me doing some awful dance moves, that should be kept in my private collection! Again I'm afraid I don't have any photos. This is partly because there were areas where photos weren't allowed and also places I didn't feel photos were appropriate such as the cemetery. Plus it was very cold and wet and we were in a hurry to visit as much as possible before everything shut. 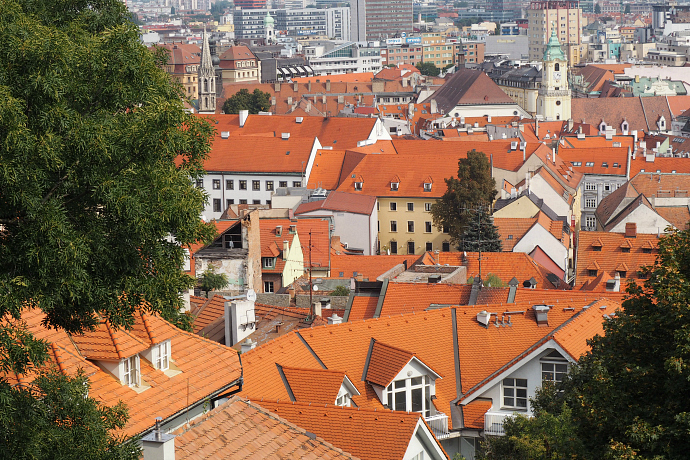 The Jewish Quarter is located between Old Town and the Vltava river. We bought our tickets from the ticket office outside the cemetery. Make sure you bring your student card if you have one! I forgot mine (after having it in my bag every other day!) and it cost me €3 more than my friends. It's definitely worth a visit as it provides a lot of insight into the treatment of Jews in Prague during the second world war. The synagogues included in your ticket are fairly spread out so make sure you allow plenty of time to see everything and don't go an hour before everything closes like we did! To get to the castle you have to walk up quite a few stairs but it only takes about ten minutes and isn't too tiresome. The walk up is definitely worth it. 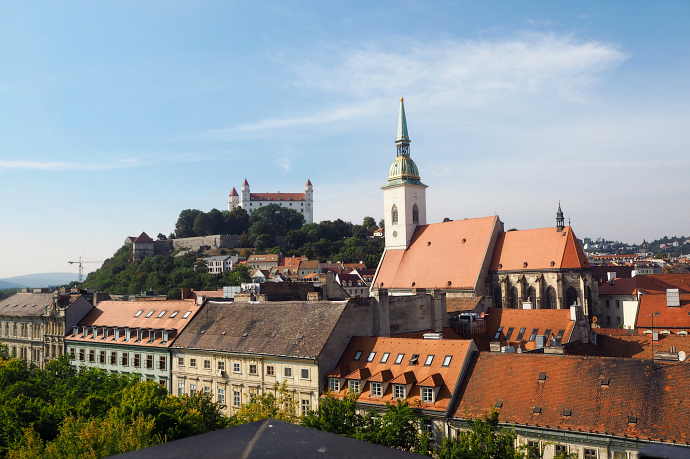 The views of Prague are great. I didn't think the castle itself was that amazing but in the courtyard is the St. Vitus Cathedral which is stunning. To get the best pictures of it you have to lie on the floor so you can fit it all in. There's plenty of other people doing this so you don't really stand out very much. Charles Bridge connects the two sides of the river. We only walked over it twice but it's a must see (or must walk!). 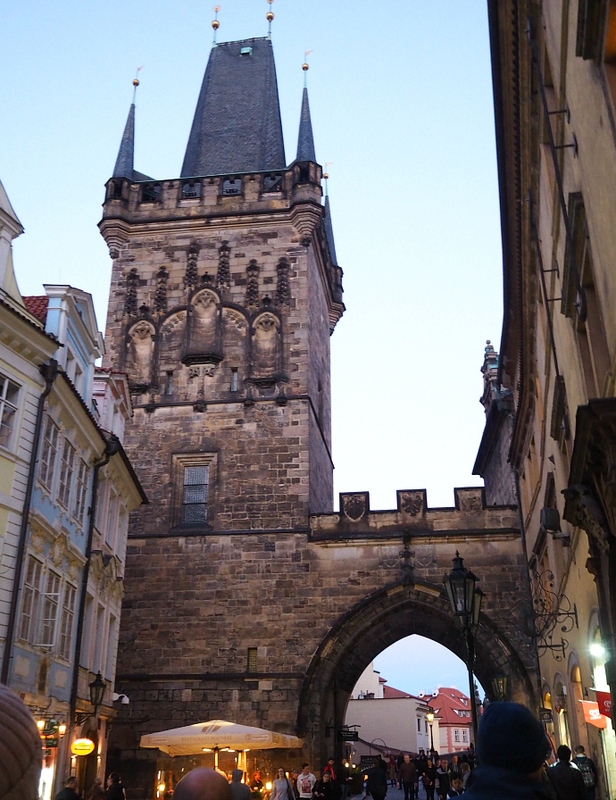 There's some fab pictures of Charles Bridge at sunrise on Instagram but I didn't fancy getting up at 5am. Instead we walked over as the sun was setting and just enjoyed taking in the views of the river. 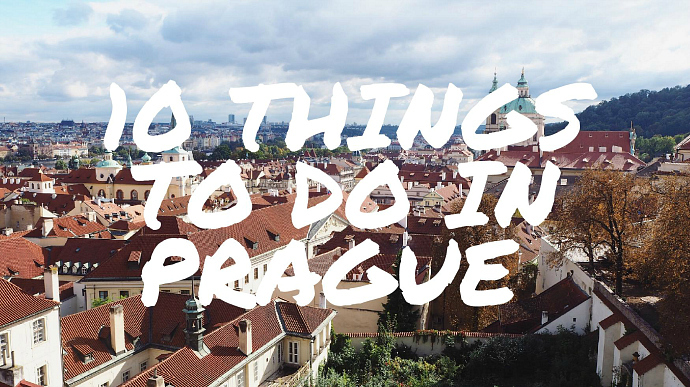 I hope my choices for ten things to do in Prague are useful for anyone planning a trip. 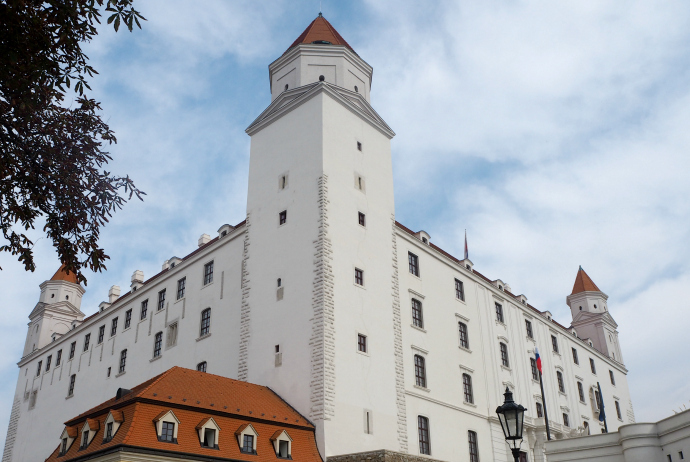 There's so much to do in Prague so choosing just ten things was hard! 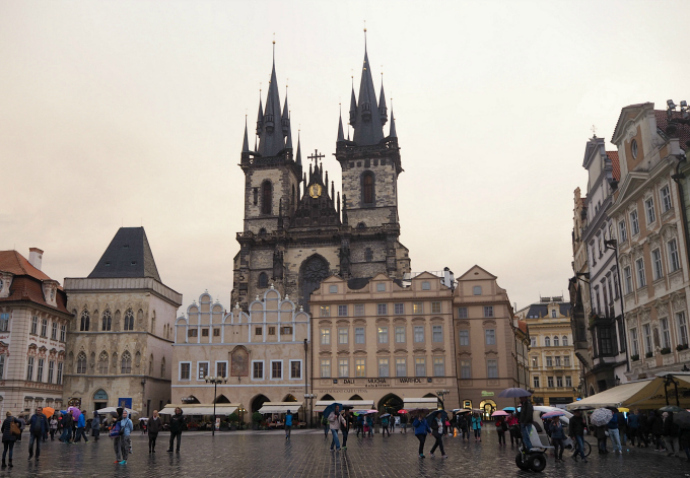 Let me know if you've visited Prague and what your favourite thing to do was. 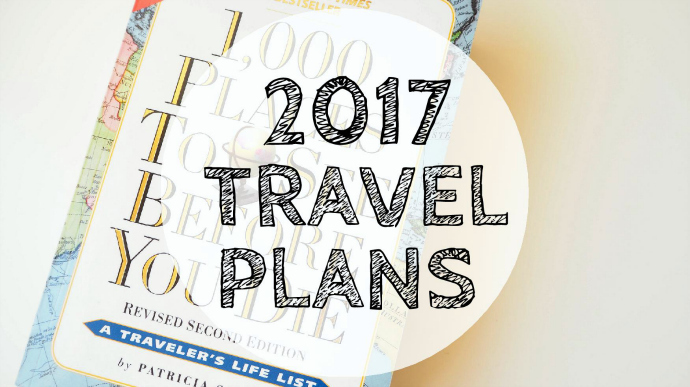 2016 was a great year for travel and I'm hoping 2017 will be just as good, if not better! 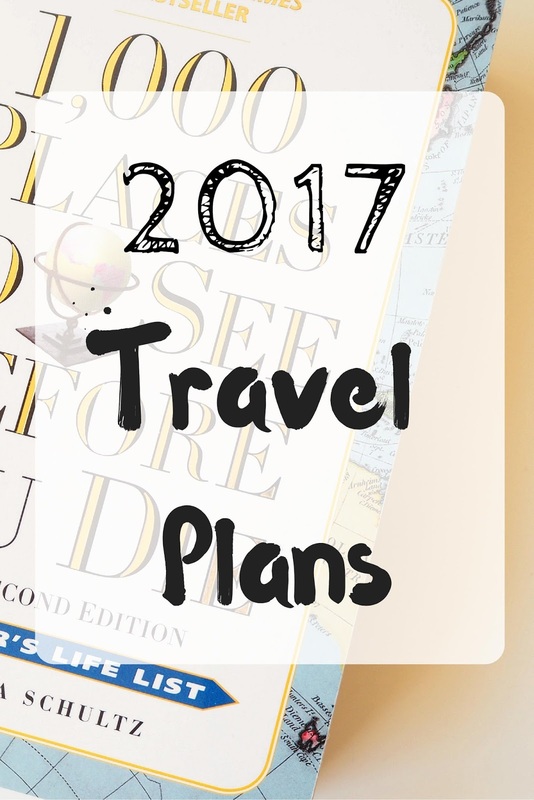 At the moment I don't have anything booked for 2017 but I have lots and lots of plans that I thought I would share with you in this post today! 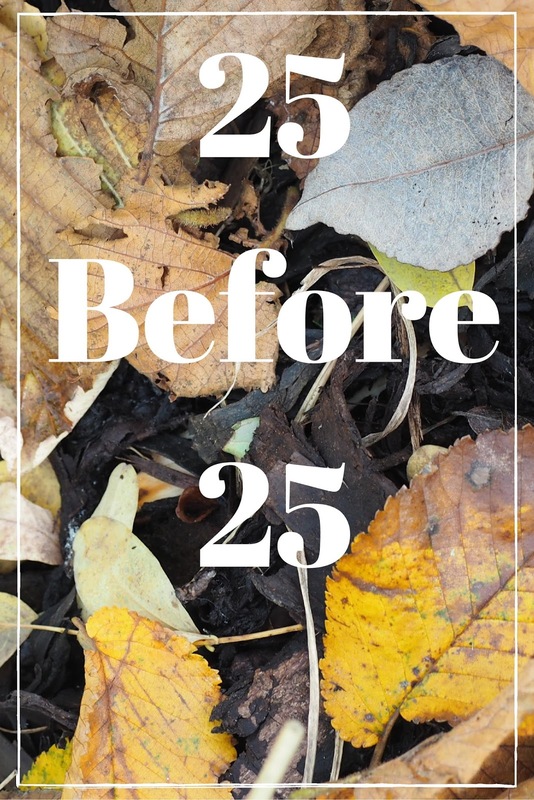 This is something I featured in my 25 before 25 post. I'm currently undertaking the TEFL online teaching course which will hopefully help me find a teaching job in Vietnam. It's surprising how many things I've forgotten since school so the course is very useful. I have no idea when I'll be going to Vietnam but I'm planning on staying there for at least two months to be able to settle in properly and enjoy the teaching and living in another country. This will either be before, after or in between the teaching. As you can see, again, my plans are very loose! 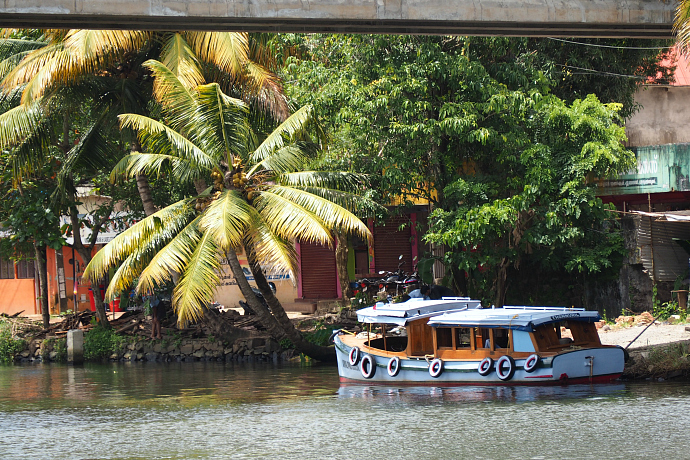 I've started to look at itineraries and blog posts about different destinations. Thailand and Cambodia are definite. I also really want to visit Laos and the Philippines. This will be a long term trip which is scary and exciting. The longest I've ever travelled for is six weeks but this will, realistically, be at least six months; especially with the teaching. Whatever happens I won't be leaving for Asia until at least the end of March because I need to actually plan the trip and earn a bit more money to put towards it! I've always wanted to go to Dublin, especially on St. Patricks day and hopefully in 2017 I can tick this off. My friend and I have been discussing it so it's just a matter of booking it up. This would happen early 2017, again, before I jet off anywhere tropical. This one may not happen as there is quite a lot of other things to save and plan for but if I can fit in a weekend to Berlin it will be great. 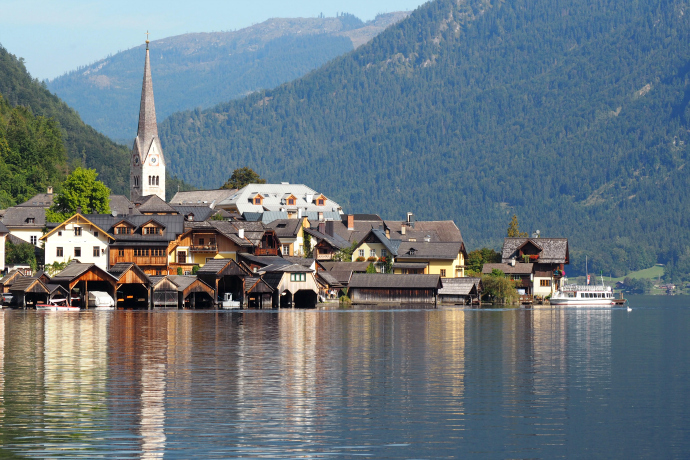 I really wanted to visit during my Interrail trip but we decided to prioritise more unusual places such as Hallstatt which I'm really glad we did but Berlin is still very high on my bucket list! 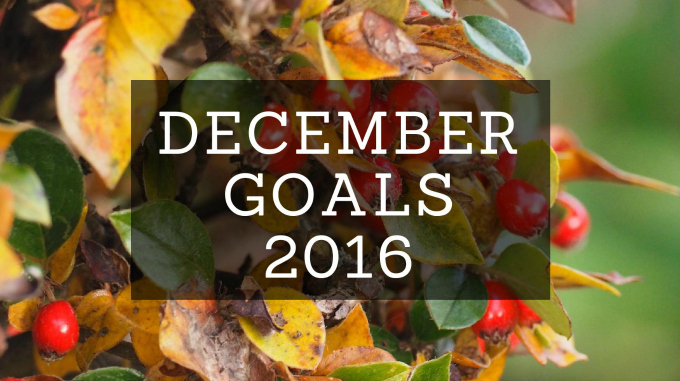 As you can see I have some pretty big plans for 2017. I hope I'll be able to fulfil all of thees plans. Do you have any travel plans for 2017? Let me know in the comments?